Melt margarine in glass cooking dish. Mix cans of corn, cornbread mix, and sour cream together. Pour into casserole dish. Bake at 350 degrees F. for 45 minutes, or until done in center. No more last minute meal planning. 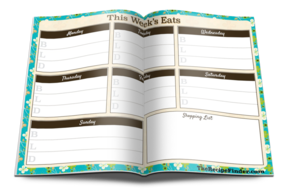 your free meal planner now.